We are Chandler, Arizona's first choice for commercial and residential gutter cleaning services. Call us today for a free gutter cleaning quote! Do you have gutters surrounding the perimeter of your Chandler business? Those rain gutters should be cleaned on a sem-annual basis in the Chandler metro area to prevent blockage of water flow. Everyone knows that our Chandler monsoons hit every year around the same time. Imagine if your property had gutters that were neglected and the rain gutters were clogged. That can cost thousands of dollars in repairs. 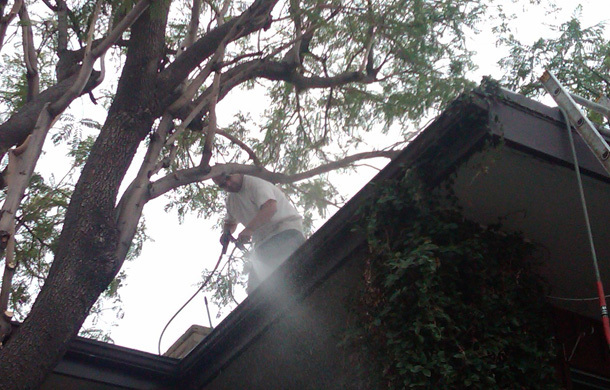 HIre AZ Window Cleaners to keep those gutters clean on a regular basis all year long. Don't worry about monsoon season! Know that your properties gutters will be ready and flowing properly. We also clean out down spouts so the water is disposed of properly. 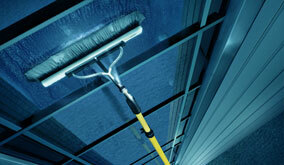 Call AZ Window Cleaners today for a free commercial gutter cleaning quote! Avoid thousands in repairs! 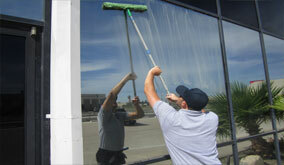 Call AZ Window Cleaners for commercial gutter cleaning services today!